Martin is a former Ski racer, having competed in the National Ski Championships in Downhill ski racing, Giant slalom and special slalom. 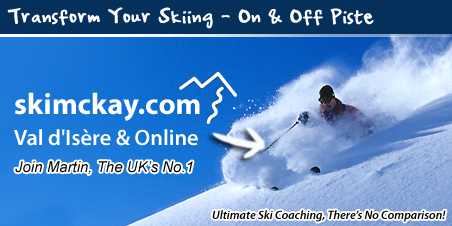 Martin is formally one of the fastest Skiers in Great Britain. He has also raced in freestyle mogul skiing, having competed alongside Olympic greats such as Gold medalist Jonny Moseley. Martins primary aim is to build super confident skiers. He has customers on every continent and regularly advises hobby skiers, performing athletes and celebrities on how to approach and improve their current Skiing for continued success. Martin holds the Worlds highest and most prestigious ski qualification, most notably the French BEES 1er degre ski alpin, arguably the toughest technical test of mental and physical skiing skill. Plus he holds the grade 4 basi diploma. 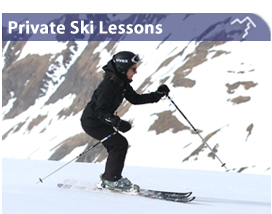 Your Skiing Safety, Enjoyment and Learning is central in all ski lessons. Having featured in extreme ski movies, competitions and as an action model in the World's best skiing playground, France. 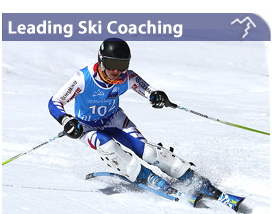 Martin is your first choice if you want to succeed on the ski slopes. 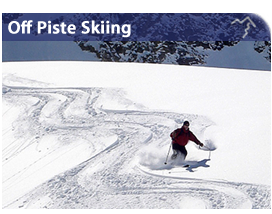 Martin is in keen international demand as a teacher of skiing both on piste skiing and off piste powder skiing. For over 30 years Martin has helped skiers make huge personal skiing breakthroughs. Martin has been ski coaching since the age of 16.... a rare breed, a renegade and a trend setter.... Martin is renowned for pushing boundaries and leading the way. With a very specific structure and habit base. 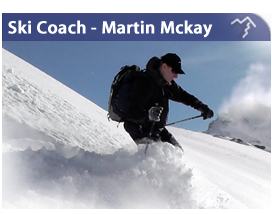 This is just one part of Martin's success programme for Skier's to reach the pinnacle of confident elite Skiing. "You don't just luck your way into becoming a good skier, rather you work at it with a smart plan, learning within a positive confident boosting environment."